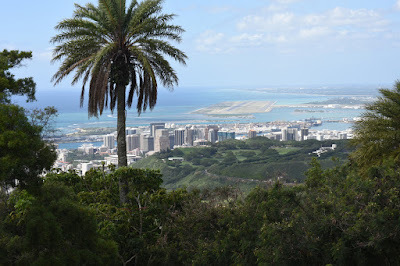 Nice view of Punchbowl Crater and Honolulu Airport reef runway, which is visible from space. 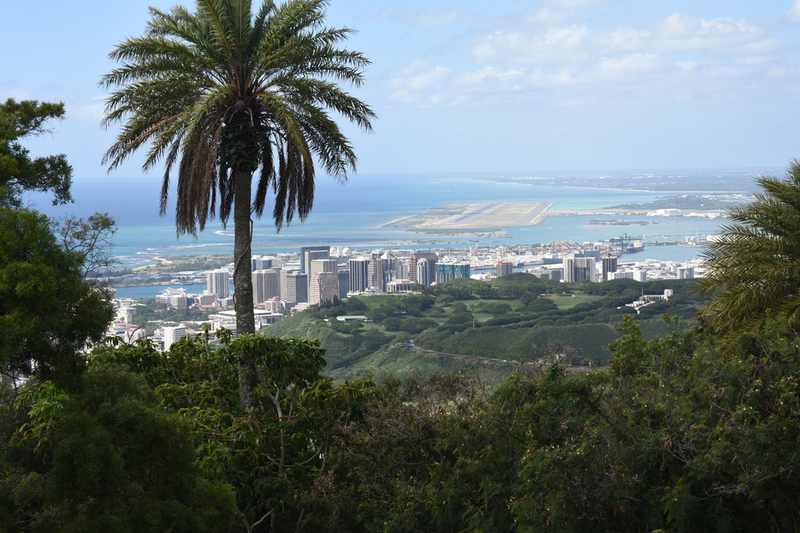 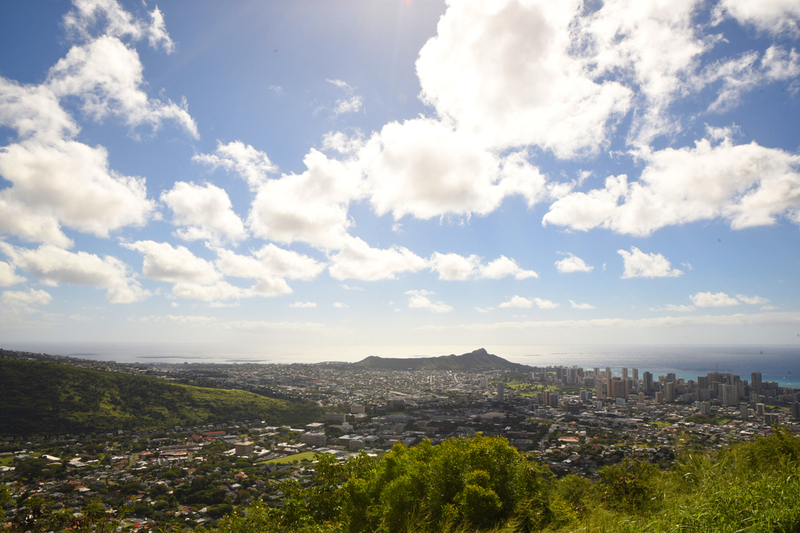 Roundtop Park overlooks Manoa Valley and Diamond Head on the left. 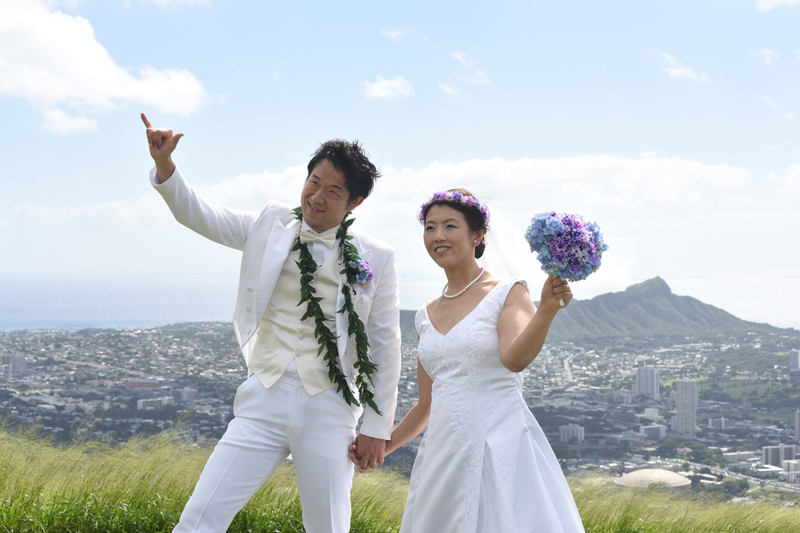 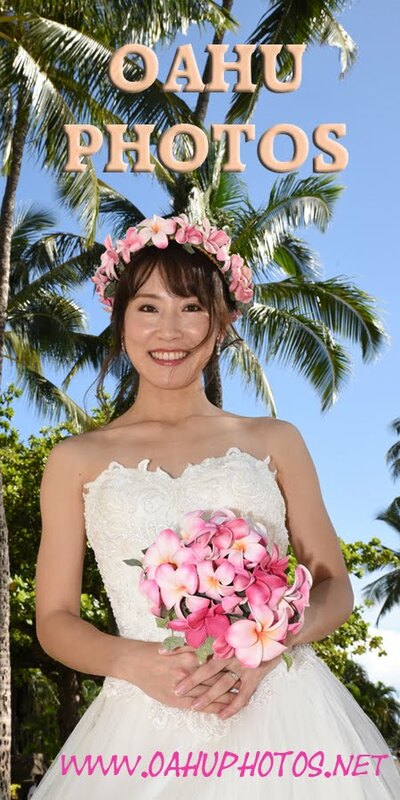 Wonderful day with blue sky and puffy clouds, just right for our Oahu Photos.